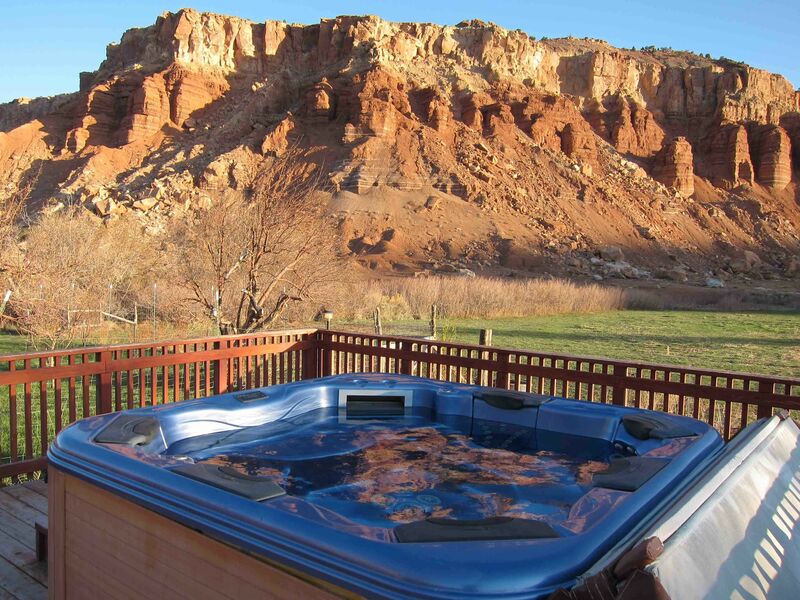 Hot tub at Red River Ranch has nice views. Vista from the trails at Capitol Reef. 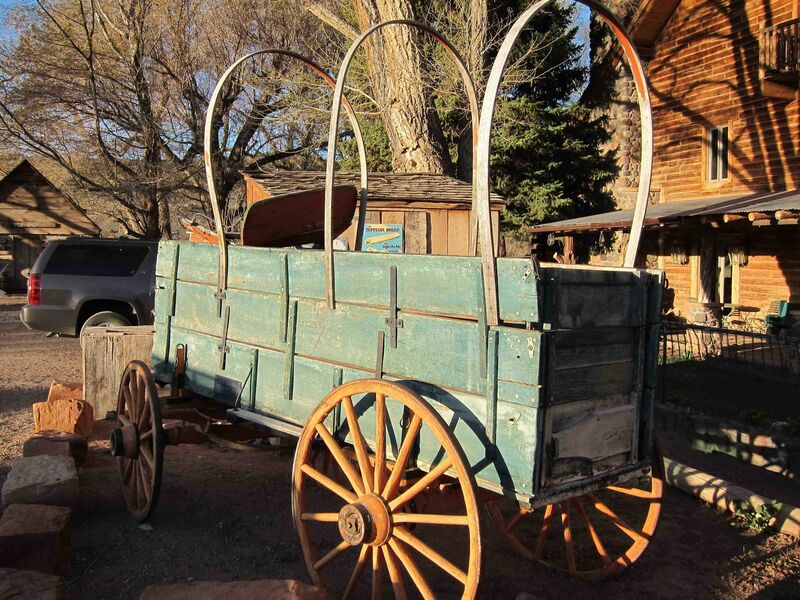 Wagons are found all over this part of Utah. Hickmans Bridge is a local landmark along a kid-perfect trail route. 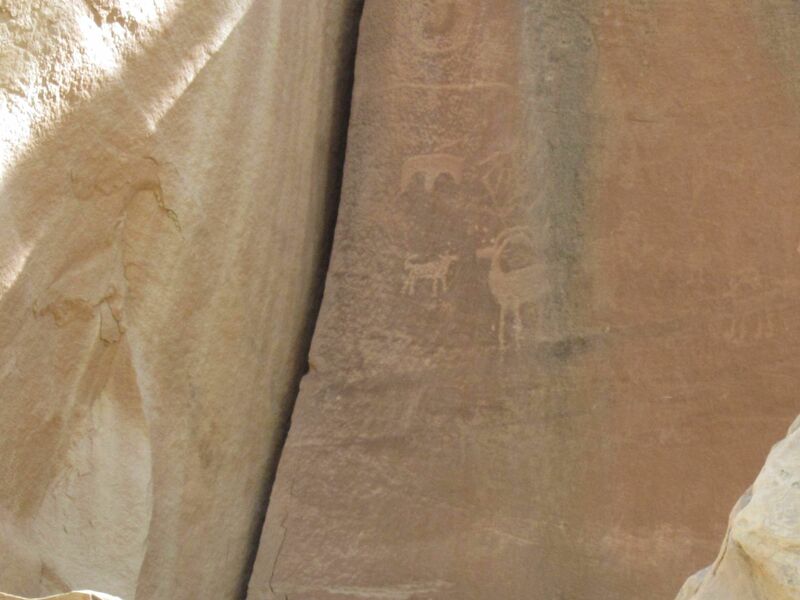 Petroglyph in Capitol Reef National Park. The American West is rich in National Parks that offer wide-open spaces, panoramic vistas, hiking trails and a vast menu of family recreational possibilities. What makes Capitol Reef, Utah unique among its competitors is its notable lack of crowds. This is in sharp contrast to some of the more heavily visited National Parks (think Grand Canyon and Yosemite) that are struggling to navigate through the multitude of issues that over-utilization brings. Capitol Reef is an under-the-radar gem of the National Park Service that is a terrific way to introduce your child to the many joys of our National Parks, especially as the park’s system celebrates its centennial in 2016. For families with very young children, its easy hiking trails and wonderful ranger-led programs make it a good destination for those who appreciate the great outdoors and the beauty of nature, but not crowds, lines, and over-booked hotels. It offers a first-hand glimpse into the pioneer spirit that infused this area, and continues on today. Capitol Reef National Park in southern Utah is a majestic swath of canyons, ridges, buttes and monoliths. Colorful cliffs and soaring spires enhance the breathtaking scenery. The Waterpocket Fold, a 100-mile long wrinkle in the earth’s crust, is a unique feature. The area’s cold desert ecosystem supports a diverse combination of plant and animal species, providing eye-catching flora and fauna. That this jewel of the National Park Service is free from crowds is not due to a lack of natural beauty. It is only since 1962 that a paved road has been providing access to this once nearly unreachable corner of the lower 48 states. The Visitor’s Center is a good place to get oriented, and it is located right on the scenic drive, Highway 24. You can pick up a free Family Fun Pack here, a backpack loaded with games and activities on loan to you for the duration of your visit. The Junior Ranger Program is open to kids of all ages, and features a Ranger-led Junior Geologist program during the summer months. The Ripple Rock Nature Center is just south of the Visitors Center, also on the Scenic Drive. The center’s programs are geared to kids of all ages, and include fossil identification, wool spinning and grinding cornmeal on a prehistoric stone. As the crowds are sparse, you won’t need to pre-register for these free programs. Capitol Reef offers many well-marked hiking trails at all levels of difficulty. 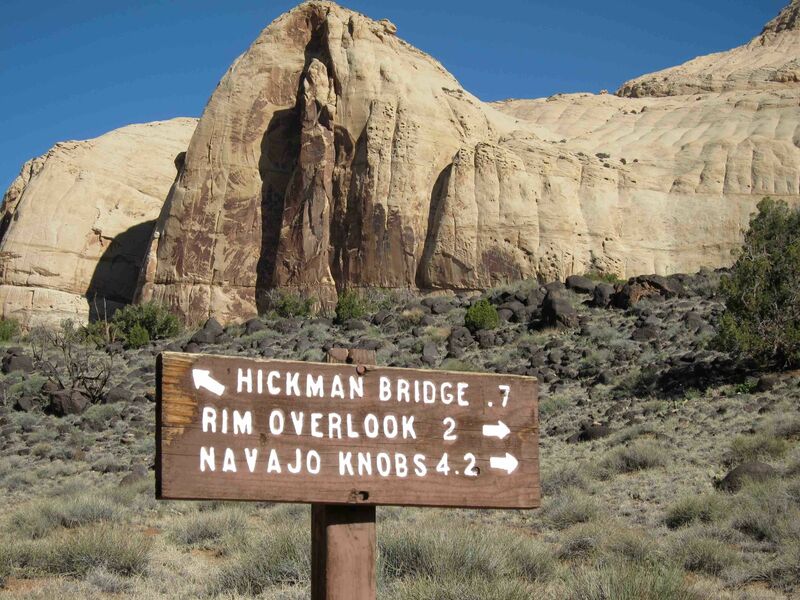 Hickman’s Bridge is a terrific hike for children, as its fairly level terrain means even those with tiny legs should be able to complete it without complaining. 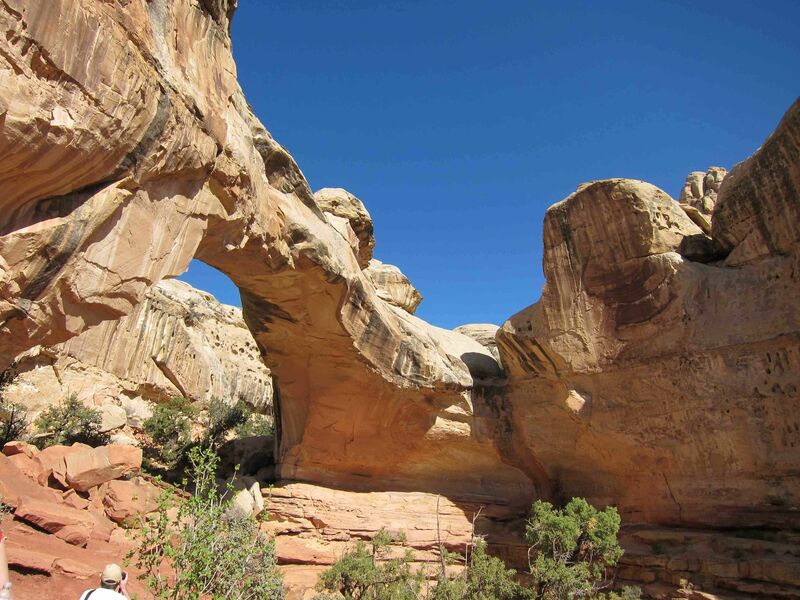 The hike follows a one-mile self-guided trail with a big visual payoff in the form of an elegant natural arch at the end. The binoculars in your family fun pack will come in handy in your search for the petroglyph panels that were etched by the Pre-historic Fremont Native Americans who once inhabited the region. A visit to Capitol Reef would be incomplete without a stop in Fruita, a short drive from the Visitor’s Center. The town’s first settlers planted fruit orchards in the 1880’s to insure subsistence in this harsh environment. Today’s visitors reap the benefits, as 2,700 cherry, apricot, peach, pear, apple and plum trees ripen at staggered times and offer fresh fruit for the picking during much of the year. Hand-held fruit pickers and ladders are provided. Eat as much as you want while you pick, and take away as much as you desire for a modest per pound price. You pay on the honor system, a wonderful thing for 21st century kids to experience. You will also find the Fruita Schoolhouse here, where you are invited to explore what was a traditional one-room schoolhouse for pioneer children. Capitol Reef has the 71-site Fruita Campground, located in the park, surrounded by the fruit orchards. Families can camp here for a rock-bottom price. There is running water and flush toilets, but no showers. Each campsite has its own grill and picnic table. The nearby town of Torrey has lots of accommodation options, with standard motel units for families in good supply at the Best Western and Days Inn. An authentic Western-style choice for families is the The Lodge at Red River Ranch, where a small herd of American buffalo graces the front pasture. The Lodge features a three-story Great Room with open-beam construction, a collection of Navajo rugs and a giant Anasazi stone fireplace. The 15 guest rooms are large and well suited to families, each with a fireplace and balcony or patio, with dramatic, multi-hued views. There is a communal hot tub that lets you enjoy the same views while you unwind. Red River Ranch manages to blend the Wild West’s past with modern conveniences. There is a well-stocked game room with ping-pong, table football and board games, including my family’s active favorite, Twister. You might think that dining choices would be limited to the bland and boring in this remote region, but that is not the case. We enjoyed dining at Café Diablo in Torrey, where the Culinary Institute of America trained owner-Chef uses organic, local ingredients. The innovative Southwestern menu includes adventurous choices such as a Rattlesnake appetizer. For the younger crowd, the chef will cater to picky eaters, who only have eyes for plain and simple dishes. The solitude that you will find in this part of Utah means that driving here is stress-free. The area’s Scenic Byway 12 takes you motoring through landscapes of canyons, plateaus and valleys that will take your breath away. With hardly another vehicle on the road, you can enjoy the calm that is so hard to find in today’s frenetic world, and share it with your family. Considering the feeling of remoteness that you will experience here, the area is surprisingly easy to reach. With airlines like Southwest and JetBlue serving much of the U.S., you can now fly into Salt Lake City and out of Las Vegas or vice-versa, and see quite a bit of the state’s remarkable scenery without backtracking. It is approximately a four-hour drive to get to Capitol Reef from both Las Vegas and Salt Lake City. St. George, Utah, approximately a 2-hour drive from Capitol Reef, has a state-of-the-art airport, increasing the travel options. 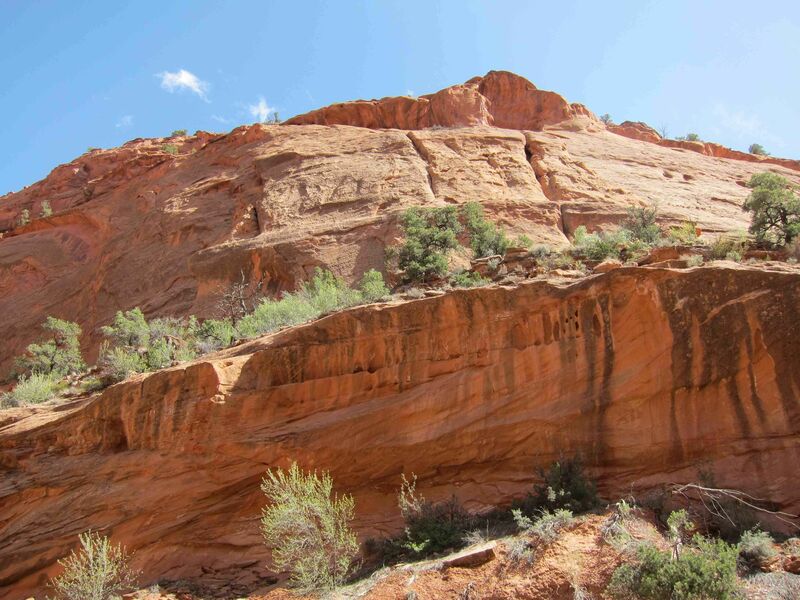 The Utah Office of Tourism website is a great resource in planning your trip to Capitol Reef. However you choose to get there, give it a try, before the secret of its unspoiled beauty is out.